The Swivel Texture Razor has 360 degree swiveling capabilities for feather cutting, thinning and razor cutting hair. It has a 30 Vee tooth blade for invisible blending and thinning. 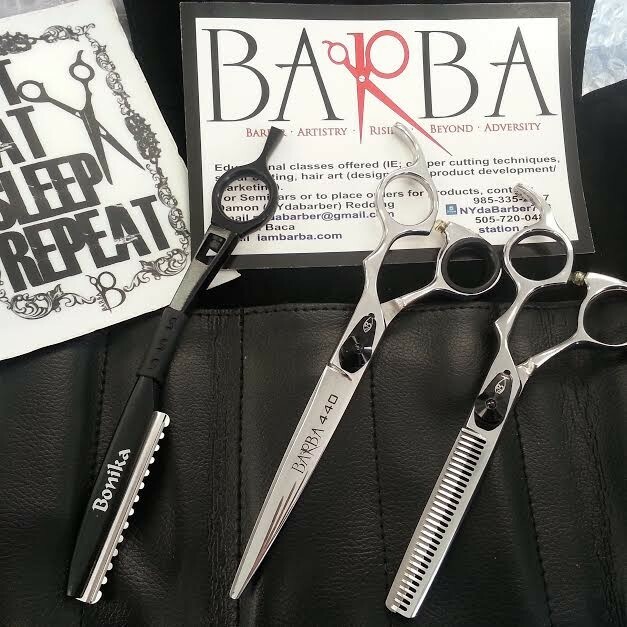 BARBA 440 Wet/Dry SHEAR & BARBA 440 SAHARA THINNING SHEAR Plus the Swivel Texture Razor are sold together as a 3 pc.set. Both offset shears are listed above. The Swivel Texture Razor has 360 degree swiveling capabilities for feather cutting, thinning and razor cutting hair. It has a 30 Vee tooth blade for invisible blending and thinning.